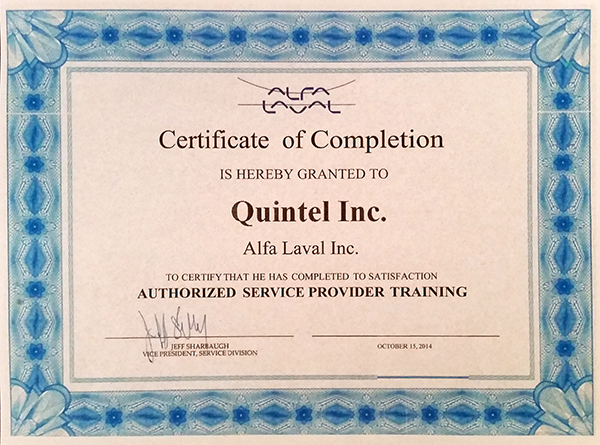 Quintel is proud to be reseller of heat exchangers manufactured by several of the major original equipment heat exchanger manufacturers (or OEMs). These OEM heat exchangers are supplied to our customers with the substantial added value of having been tested carefully by us before being shipped out. When you're depending on receiving working equipment for immediate use, you can't afford downtime due to any unanticipated problems, and our inspection and testing procedures ensure you get a working heat exchanger when you expect it. Our chart recording equipment ensures that test results are properly saved and can be utilized in preventative maintenance evaluations. All test results and any videos/DVDs produced will be supplied to the customer for their records. 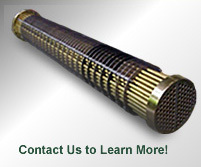 Request a quote on an OEM heat exchanger today or on our other heat exchanger repair services. Please contact us with any questions or additional requests for information you may have.